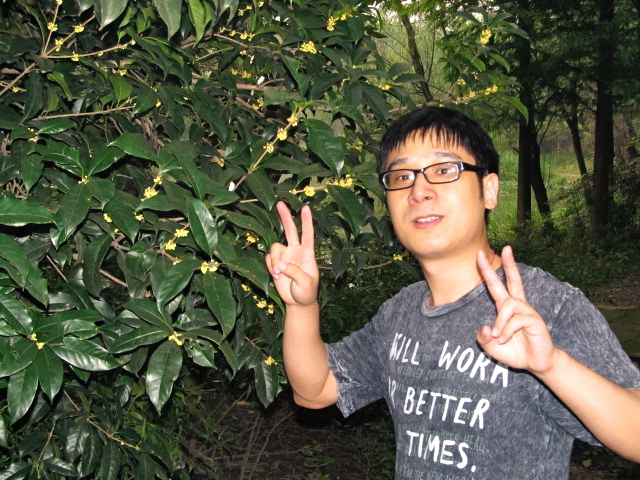 An Ode to China's Enchanting Sweet Osmanthus Flowers | WWAM Bam! If dreams and hopes had a scent, it might just be the sweet osmanthus bloom. This autumn marks the first in many years without the pleasure of one of my favorite flowers, which comes out in late September into early October in Hangzhou, my husband’s home region. 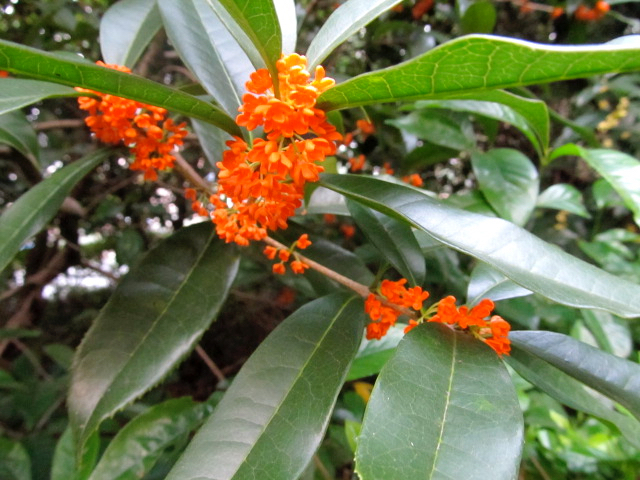 These enchanting blossoms grow on the osmanthus tree, native to a wide swath of subtropical and tropical East Asia, and their beguiling, sweet fragrance has notes of apricot, peach and even a little vanilla. And yet, the flowers are incredibly tiny, smaller than the nail on your pinky finger. It’s amazing that these delicate blooms send out such a powerful smell. I’ll never forget one autumn when I stayed with my in-laws in their home, and the scent of the sweet osmanthus flowers wafted in through all the windows for days. It was like being engulfed in the smell of heaven everywhere I walked in that house. I also love that you can use the flowers in your cooking. My mother-in-law always makes roasted chestnuts at home, and she sometimes tosses in osmanthus flowers collected from the village or front yard of the house. The heady fragrance of the flowers makes the chestnuts even more delicious. Of course, Hangzhou isn’t the only place in China known for this flower. After all, the popular tourist destination of Guilin translates into “sweet osmanthus forest,” thanks to the large number of trees growing there, which must smell just as lovely in the fall season. 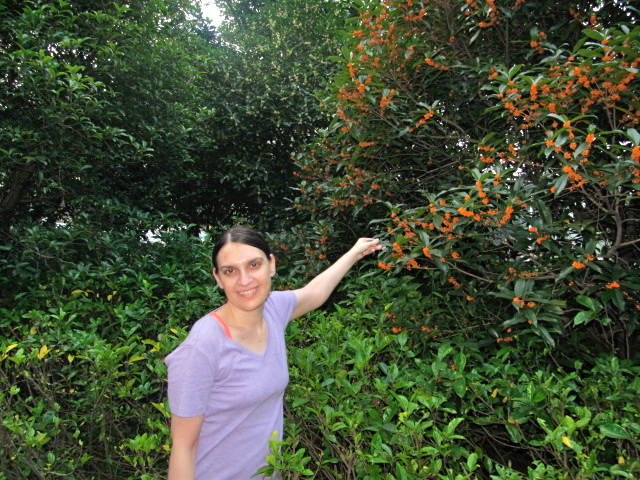 To salute this special flower, I’m sharing some of my favorite photos taken in Hangzhou (including me and my husband)! 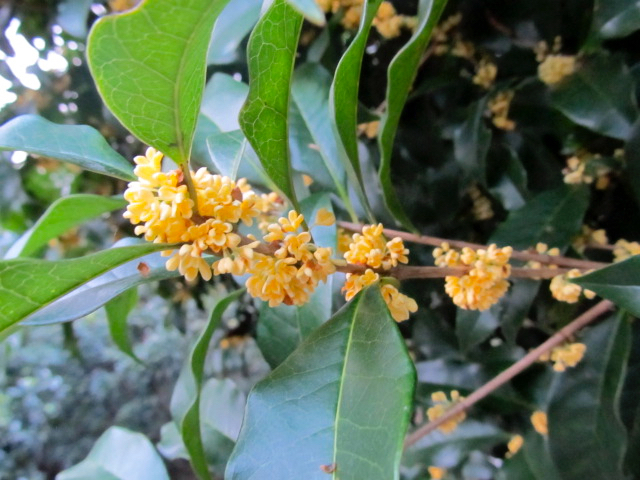 If you have the chance, take some time to get out and experience the incredible scent of the sweet osmanthus bloom. It might just give you that extra boost you need to power through the tough times. Because sometimes, hope really is a flower. Have you ever smelled the sweet osmanthus flower? There aren’t many flowers that are so fragrant you can smell them from a distance. Lilac is one. Also two small fragrant flowers from the Philippines come to mind–the sampaguita, a kind of jasmine that is used for leis and sold on the highways, and damas de noche, a night-blooming flower. Sadly, I’ve never seen or smelled the osmanthus.